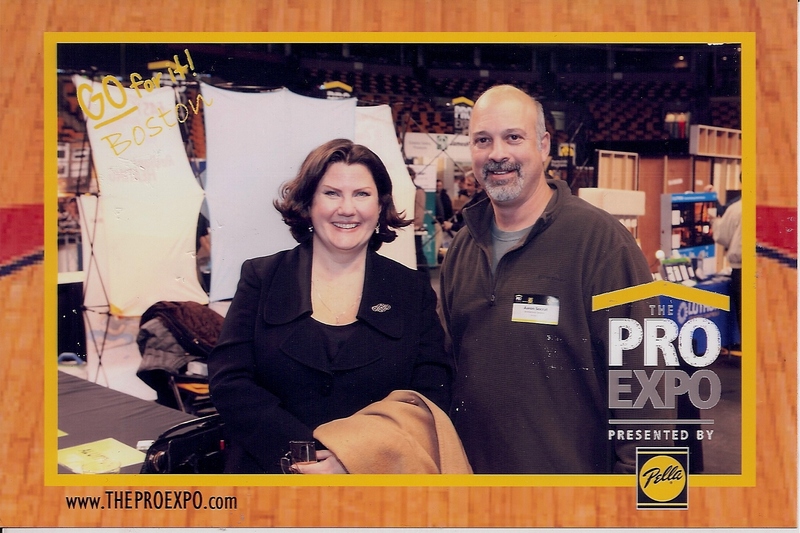 Speaking at the Pella Pro Expo in Boston yesterday, at the TD Garden was terrific fun. Thanks to Pete Miller at Restore Media for developing this break-out educational content at the 2011 Pella Pro Expos. While I didn’t do a head count we had a packed room that I estimate held about 200 folks, nearly all architects. My lectures focused on the relevance of classical architecture to contemporary American domestic architecture and a second session on marketing tactics with a particular focus on social networking. There were many good follow up questions afterwards, and though I had the sense that very few in the audience employ classical and traditional architectural forms in their work today, they were interested in the connections I illustrated between the past and the present. It is always nice to have a chance to spread the gospel of good design. It was heartening to see so many professional architects out and about, positive about the work environment, and enjoying themselves. It was especially nice to see Christopher Brown, a Notre Dame alumnus. He reminded me I had been his TA at Notre Dame during his first year. The session on marketing tactics was particularly interesting to me to hear what others are doing to market their work. Thanks again to Pete Miller for the excellent advice on structuring this lecture. I found delivering it was a good opportunity to examine the various ways I market my own unique mix of skills, and what is and is not successful. Afterwards at the Expo I enjoyed meeting a variety of folks and found Boston has some pretty great hospitality. A special thanks to Michael Audette and Aaron Socrat for getting me to South Station. You guys went above and beyond the call of duty! Thanks to everyone who attended, thanks for all the kind compliments, and if you’d like to attend any of these upcoming Pella sessions, further information is below. THE PRO EXPO Presented by Pella events are half-day exhibitions that bring local professionals together to network, share ideas, earn educational credits and learn about the latest product tips and trends in the building industry. Events will be held Tuesdays and Thursdays at stadium arenas in major cities across the U.S. and Canada from January through May 2011. This year’s “Go for it!” theme will be brought to life through basketball imagery and motivating leadership quotes. Pella partners with leading companies and brands – including AZEK, Daltile, Dow®, DuPont®, FastenMaster®, Ferguson, GE Money, Heat & Glow, Heatilator, Henkel®, James Hardie®, James Hardie Artisan, Kohler®, Latricrete International®, Lutron®, MasterBrand Cabinets Inc., OSI, Schluter Systems®, Silestone®, Sprint®, Thermador®, USG, VELUX® and Wellborn® – and takes them on the road to meet with professionals in 30 markets to provide updates on new building practices, products and services. This entry was posted in Design, Education and tagged Education, Pella Pro Expo, Restore Media on February 9, 2011 by cghfranck.